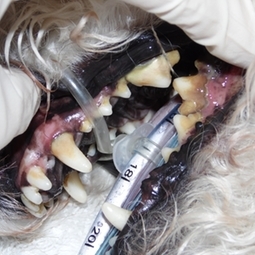 Dentistry is an important tool in maintaining your pets overall health. Clean and healthy mouths are a big part of healthy pets. Here at Wea Animal hospital we offer ultrasonic scaling and teeth polishing, fluoride treatments and digital dental x-rays. Dental x-rays are important in assessing tooth health because 60% of the tooth is under the gumline and that is where most of the disease lies that leads to oral pain and tooth loss. Not to mention that infection leads to bad breath and can cause systemic illness.